Each opioid prescription pain medication from a long list of many has the potential to become addictive. The Centers for Disease Control estimates that 78 people in the United States die every day from opioid addiction. In 2015, 253 overdosed on Fentanyl in the state of New Hampshire alone . Fentanyl can kill users, which should terrify you unless you take precautionary measures. Fentanyl comes in the form of a patch that is normally replaced every 48 to 72 hours with varying doses that range from 25 mcg up to as much as 200 mcg. More and more doctors across the nation are prescribing this highly addictive drug, which is more powerful than nearly every other opioid and 50 times more potent than heroin. It has deservedly earned the title of the most potent drug on the market. Fentanyl gel patches offer a variety of uses for addicts looking for a high. Two drops the size of a pinhead affect an adult significantly. One of the ways that addicts utilize Fentanyl patches is to cut them open and mix the gel with other drugs, such as heroin. This enhances the high, but it can also be fatal. 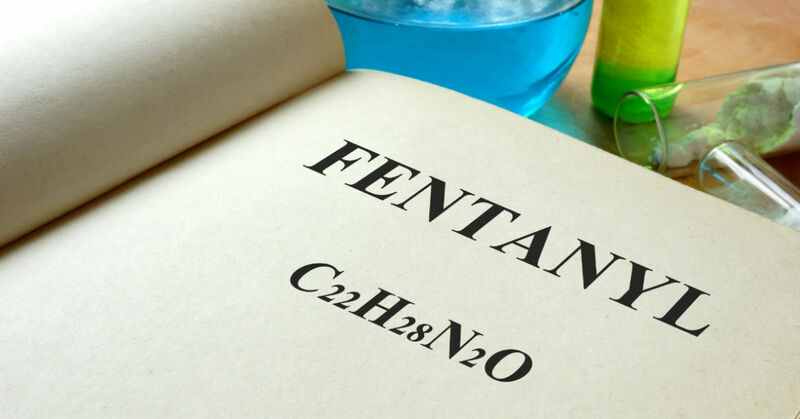 As with many opioid pain killers, Fentanyl users can easily become addicted and find themselves working their way up to wearing two and three patches at a time instead of the one that was prescribed. Addicts commonly cut the patches into small squares and consume them. All of these alternative ways for taking Fentanyl can be extremely dangerous and could lead to an overdose. The Food and Drug Administration released a warning for Fentanyl users to be sure to properly dispose of their used patches. A patch that has been used for three days still contains a significant amount of the drug, and children sometimes find discarded patches and affixing them to their bodies, which can result in an almost instant fatality. In June 2016, the media reported that Prince died from a Fentanyl overdose. While the singer’s battle with chronic pain was no secret, his death makes fans wonder just how much Fentanyl he was taking. The death of a celebrity shines a bright spotlight on problems that affect the country. The FDA’s warning and the death of Prince have clearly shown just how dangerous the drug can be and further emphasize the very real effects of this narcotic pain killer. Opioid pain killers can offer relief when taken as prescribed. However, Fentanyl has proven to be such an addictive pain killer that it is becoming a scourge on society. If you are prescribed Fentanyl for pain, be sure to ask your doctor plenty of questions about the potential effects and the dosage. Take every available precaution in order to keep the drug out of your teen’s hands as some adolescents use the drug in an attempt to seek a high.